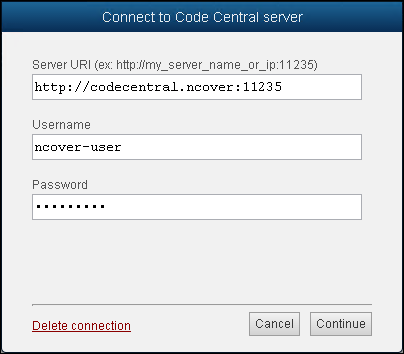 Click on the Connect to Code Central button to bring up the "Connect to Code Central Server" dialog box. Server - The name or IP address of the Code Central server. This field should contain the same connection string you would use when connecting to Code Central from another machine.